I don’t know about you but I actually really enjoy the beginning of a new week. It’s a chance to set a new intention for the week ahead. I’m feeling pretty light and lovely as I have a pep in my step now that I am feeling well again! I had been struggling with chronic fatigue and sore throats since the beginning of April. Turns out it was the virus mono! Who gets mono in their 30’s!? Apparently, I did and it took me down hard. Like, can’t keep my eyes open or carry a conversation hard. There wasn’t much creating going on over these past 3 months. I was a shell of a human incapable of much more than just surviving to take care of our toddler. It. Was. Rough. If I learned anything it is to lean on people much more than I did. Why is asking for help so damn hard for some of us? Now, I feel the way you do after it’s been a stormy and dark winter. The sun is out and I can’t wait to enjoy it. 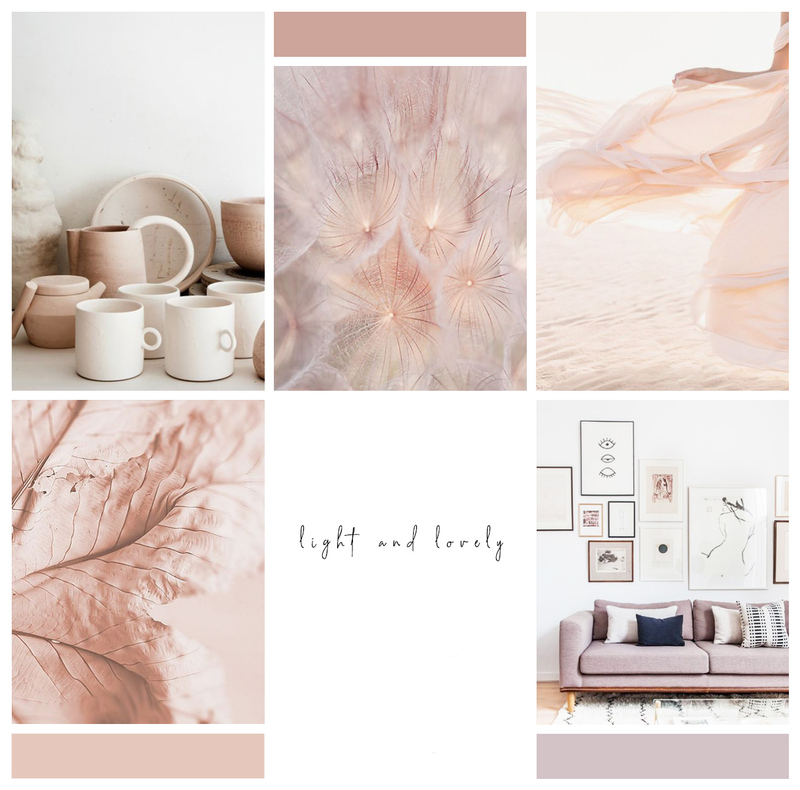 I want to be surrounded by light, bright, and airy. I’m feeling pretty drawn to feminine pinks and blushes. I want to throw on a sheer blush dress and run through the wind with my arms open wide yelling I’m back!! Ok, ok probably not going to go through with the last part but let’s just all take a minute to thank our energy for showing up when it does, because man you sure know when it’s gone.